A queen bed with bookcases. The beautiful crown "dentil" moulding was custom made for this client. 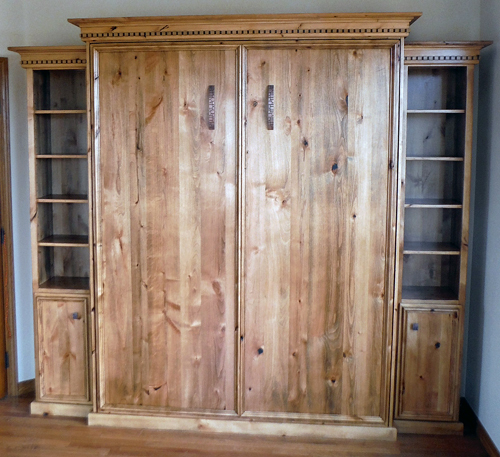 Finished in a light wood stain, to enhance the natural beauty of the Knotty Alder.